Quickly becoming one of the most popular capital cities, the history, culture, and nightlife of Mexico City will definitely leave you wanting more. The good news? You won’t have to sacrifice quality or your firstborn child to explore this amazing city. To help you out, we’ve listed the best hostels in Mexico City. Whatever your style, this list is sure to have a perfect fit for you! A quaint little design hostel that sits near the downtown area of Mexico City, Suites DF Hostel has everything you’ll need for a fulfilling stay. Surrounding it are some of the city’s most famous tourist attractions like the Monumento a la Revolución, as well as many types of public transport! Inside the hostel the rooms are all equipped with ensuite washrooms and showers, giving you the privacy to make you feel right at home. In the mornings, awaken to the smell of freshly prepared breakfast, which you can enjoy out on the terrace in the fresh air. Take advantage of the tours and other daily activities – there’s something for any lifestyle, budget and mood! Mexico City’s very first backpacker hostel, Hostel Home is a long-running hostel that’s all about open-mindedness, diversity and discovering new things. 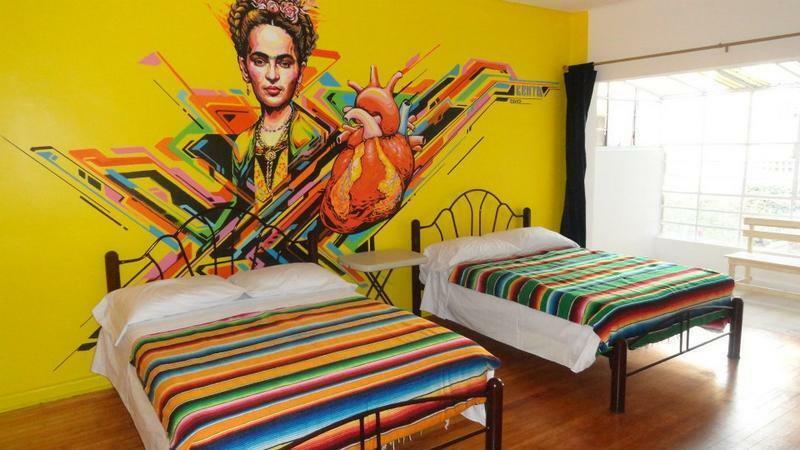 This is one of the best hostels in Mexico City for lovers of Mexican art, history and culture, as there’s a lot to see and do there. 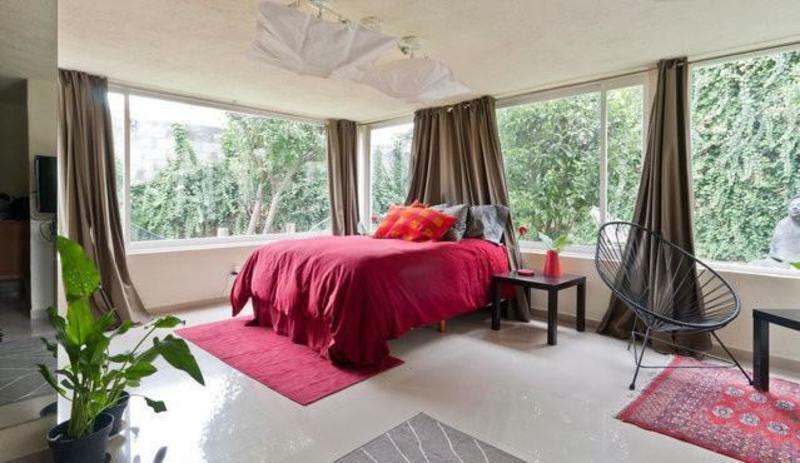 It’s located right in the middle of the Condesa and Roma neighborhoods, in a building that breathes pure character and offers stunning rooms, clean bathrooms and a safe compound. Walk the streets of Mexico City with the staff and other guests on an exciting day tour, or do some pub crawling by night – it’s all up to you! You can even rest your feet and stay in, where you can get to know your roommates, play games and indulge in great food. At Hostel Home, your options are limitless. 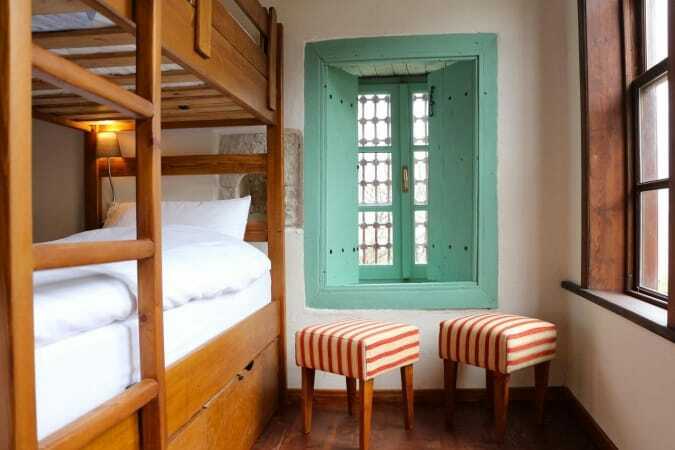 Unique and cozy, this hostel is located on the penthouse floor of a well-known historic building in the city centre. You can find everything you’ll need only a stone’s throw away: public transport, supermarkets, ATMs, pubs and more! Almost everything is within walking distance, helping you save money during your stay in Mexico City. The Massiosare Hostel is located directly across from the Museo De La Policia. 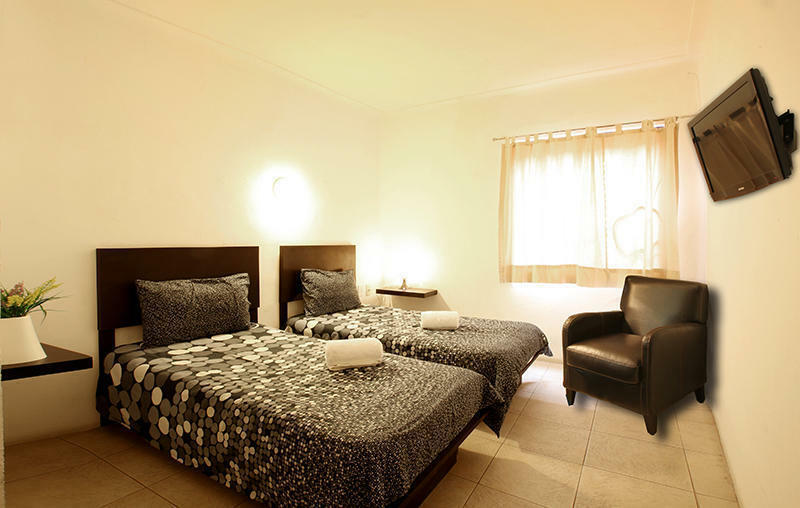 It offers various rooms types, like 6-person dorms, 13-person dorms and of course, private and double rooms. It also offers two kitchens, including a kitchen that caters exclusively to vegetarians! The staff is always cheerful and attentive here at the Massiosare, ready to serve you in whatever way they can. For a well-deserved and relaxing stay in Mexico City, the Massiosare is certainly worth its spot on the list of best hostels in Mexico City. 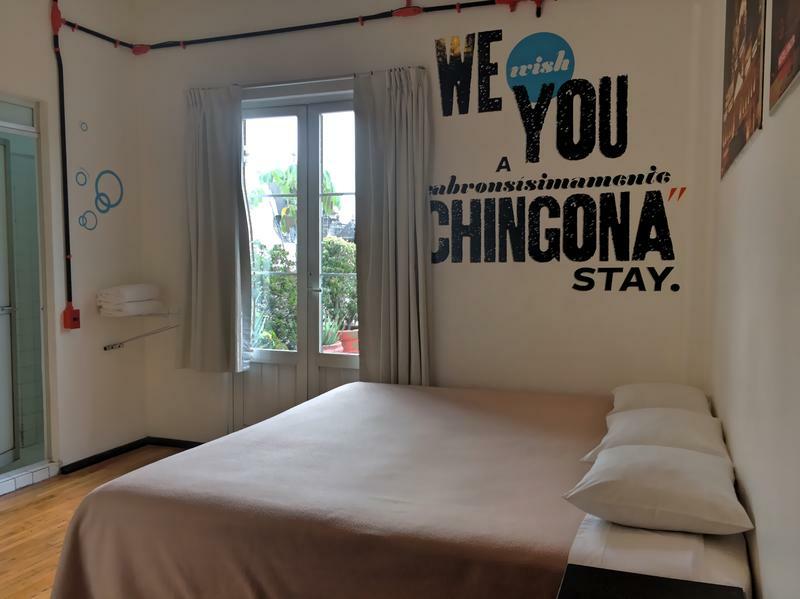 A mere 20 meters from Mexico City’s famous Cathedral and main plaza, Zocalo, Mexico City Hostel is a comfy, reasonable hostel that offers a great location and even greater services. The building itself is a beautiful historic structure, though recently remodeled. 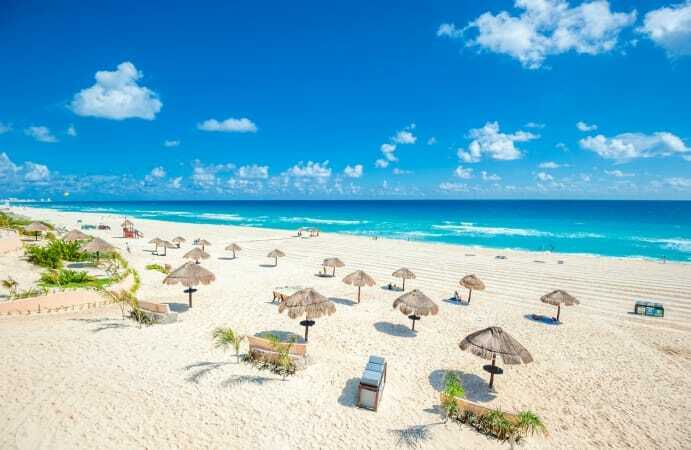 There are traditional aspects of Mexican culture everywhere you look, whether it’s in the traditional cafes, the art galleries, the quaint markets, or the museums that are rich with history. 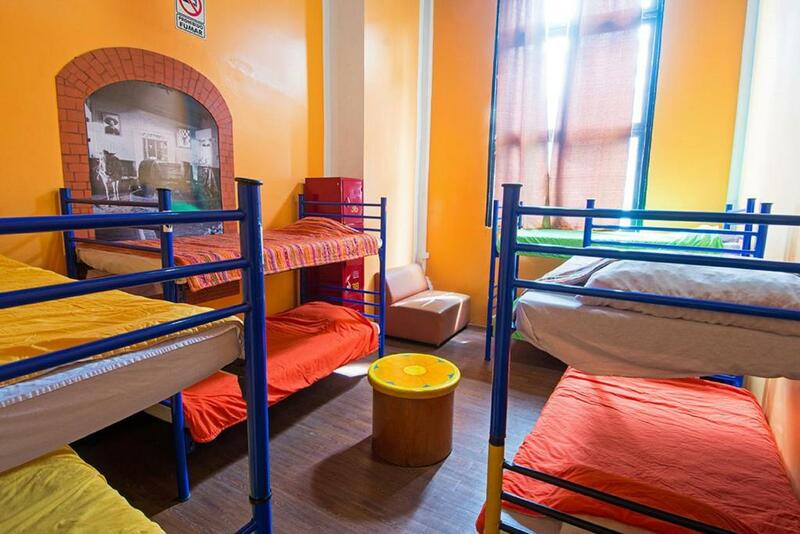 At the hostel, the rooms are large and inviting, perfect for a good night’s sleep. During the day, lounge on the stunning patio, or use the free WiFi to surf the web and speak to friends and family back home. You can even take a bite out of the delicious free breakfast, which is complete with coffee, tea, bread, eggs, butter and tasty jams and jellies! Visit the front desk for information on tours, or take the city on your own – the choice is yours at Mexico City Hostel. 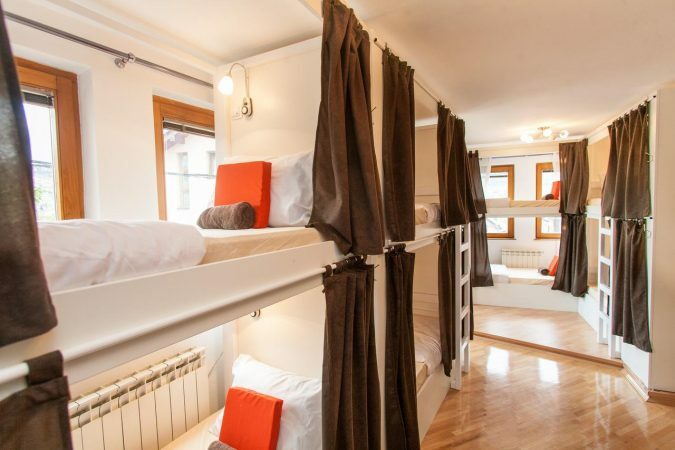 One of the trendiest and highest rated hostels in Mexico City, Hostel Mundo Joven Catedral has amassed much of its staggering success by putting the interests of its guests first. With everything from the location, rooms and services to the impeccable cleanliness and the amazing staff, this hostel was created with you in mind. It’s the perfect atmosphere to meet other backpackers, to experience another culture and still have that perfect sense of ‘home!’ Join a walking tour that takes you far past the typical tourist route, or try out the hostel’s very own bar for a relaxing evening with good drinks and good company. Topped off with a beautiful building and impressive security, you can’t visit Mexico City without checking in at Hostel Mundo Joven Catedral. Hostel Regina is a fun, action-packed hostel that’s always giving you more to do. Have a relaxing stay in the spacious rooms with hot-water showers, and then prepare to have the time of your life. For an activity-packed stay in Mexico City, Hostel Regina offers you the opportunity to get to know the city intimately for as long as you’re up for it! Take a tour with the staff or organize a day trip with other guests – the attractions of the city are waiting for you. This hostel also boasts its very own restaurant, so if you’re particularly tired after a long day of exploring, there’s an in-house option to grab a quick bite! On weekends, head up to the rooftop to mingle with party goers at the rooftop bar, complete with talented DJ’s to truly make your stay in Mexico City a memorable one. 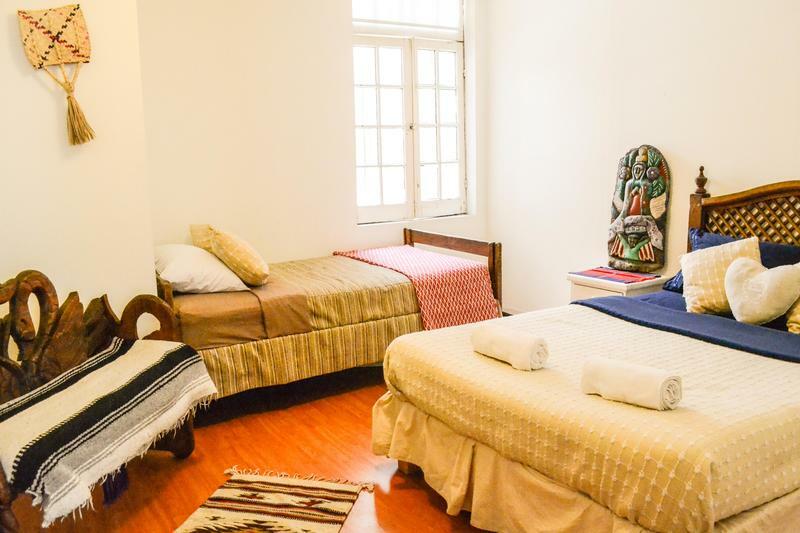 Only a short distance from the Isabel la Católica Metro Station, Hostel Amigo is surrounded by a throng of museums, monuments, restaurants and markets, as well as some of Mexico City’s liveliest nightlife, such as pubs and nightclubs. 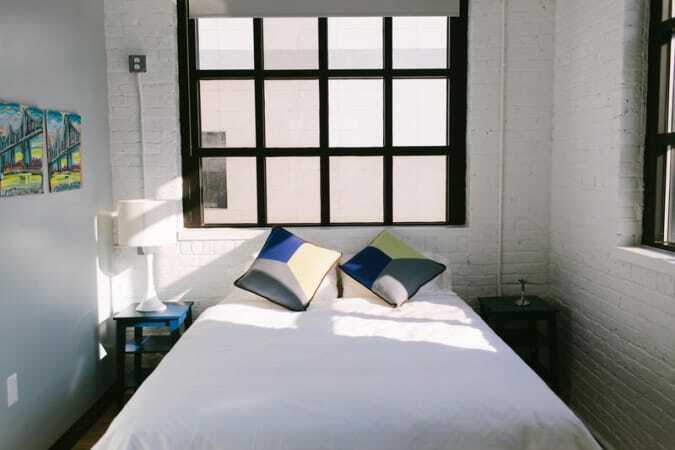 This hostel has gained considerable recognition and attention over the past decade, and has only continued to improve in every way. It offers a free continental breakfast as well as free WiFi, and goes a step further to offer a guaranteed safe space for the LGBT community. Reception operates around the clock, so no matter the hour, your questions and concerns will be addressed in no time. Take a tour of the local market or head to the National Museum of Anthropology, and experience Mexico City in all its glory. A bright little hostel that brings everything to the table, Casa Roa is located in a quiet residential area with 24/7 security in all dorms. The stunning design secures its spot as one of the best hostels in Mexico City as Casa Roa is decorated with large, wall-to-wall windows and even a surrounding fruit garden. 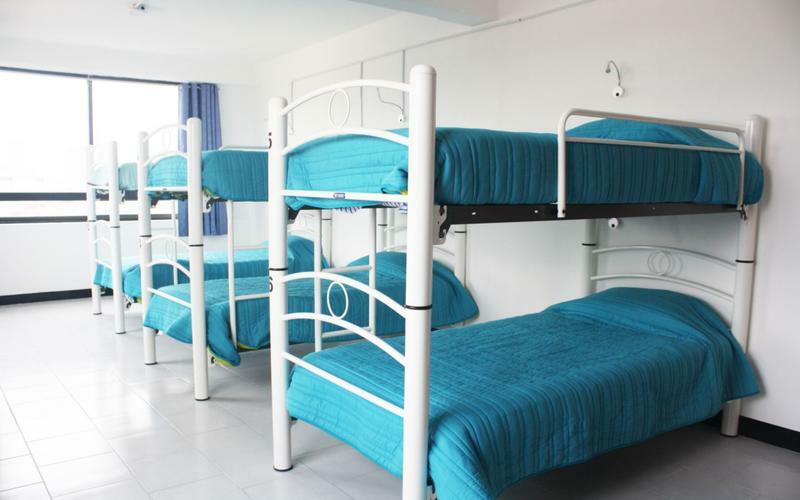 The rooms are also a sight to behold – the dorms are fitted with comfy bunk beds, while the double rooms have the luxury of WiFi access and even a flat-screen TV. There’s a guest kitchen where you can whip up your favorite meal or learn to cook some of the local dishes, and there’s even a cozy lounge with a roaring fireplace. If you’ve come to Mexico City on business, there’s even a meeting room for you to take advantage of! 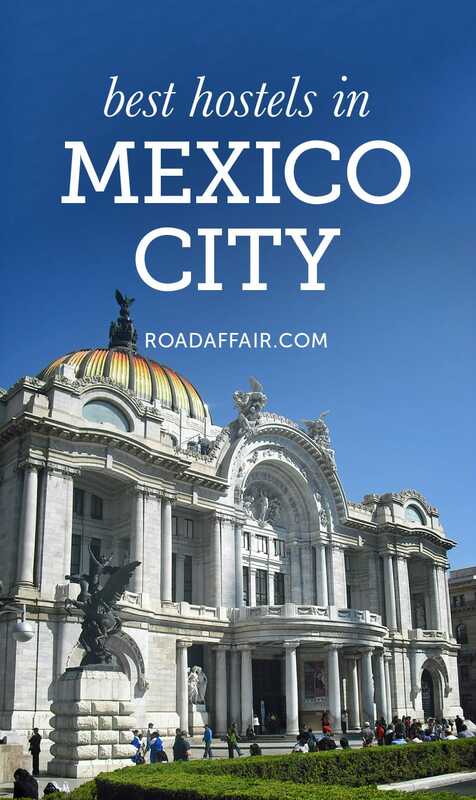 Enjoy shops, clubs, restaurants and more around Casa Roa, Mexico City’s sunny solace for any traveler. Hostel Zocalo gives you direct access to some of the city’s best sights, such as the Palacio de Bellas Artes, Catedral Metropolitana and Palacio Nacional. After seeing all that Mexico City has to offer, you’ll want to come back to the safety and comfort found at Hostel Zocalo. Named after Mexico City’s famous plaza, Hostel Zocalo offers the undeniable feeling of home and couples it with impressive service and an attentive staff. For starters, there’s the terrace, which is the perfect spot for relaxing on a quiet evening or having a lively game night with other guests. If that’s not really your thing, try a movie night in the popular lounge! There’s a guest kitchen for cooking up a storm, as well as 24-hour hot water availability and a computer room. Linen and towels are free, and there’s even a convenient laundry service to top off your stay at one of the best hostels in Mexico City. 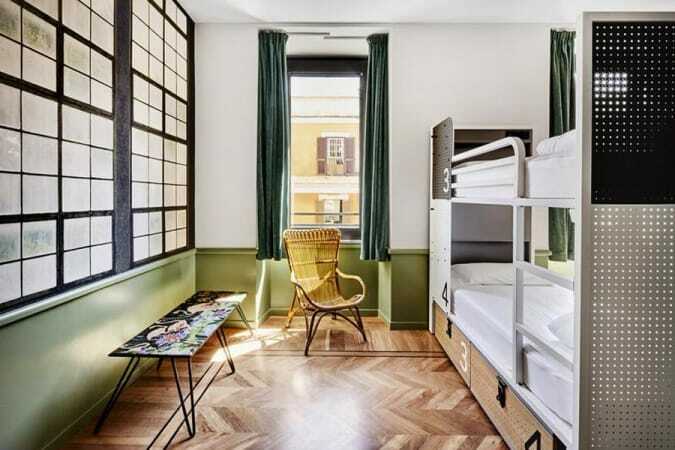 Located in Paseo de la Reforma and housed in a lovely 1920’s-style building, this hostel has been remodeled and transformed into the beautiful space that it is today. Run by locals, Dos Frida Y Diego is a hostel that offers you knowledge of all of Mexico City’s hidden gems. Interested in a well-organized guided tour to the city’s highlights? Dos Frida can help with that! Prefer to stay in and relax for the day? 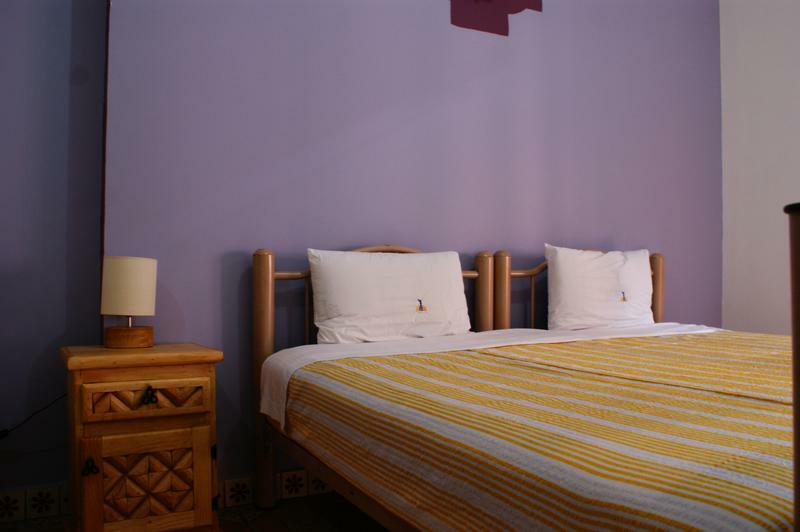 Dos Frida’s rooms come with high ceilings and vibrant colors, as well as clean, comfortable beds. No bed bugs here – only a clean environment and fresh linens to make your stay all the more pleasant! There’s a guest kitchen as well, and breakfast is served in the garden every morning. 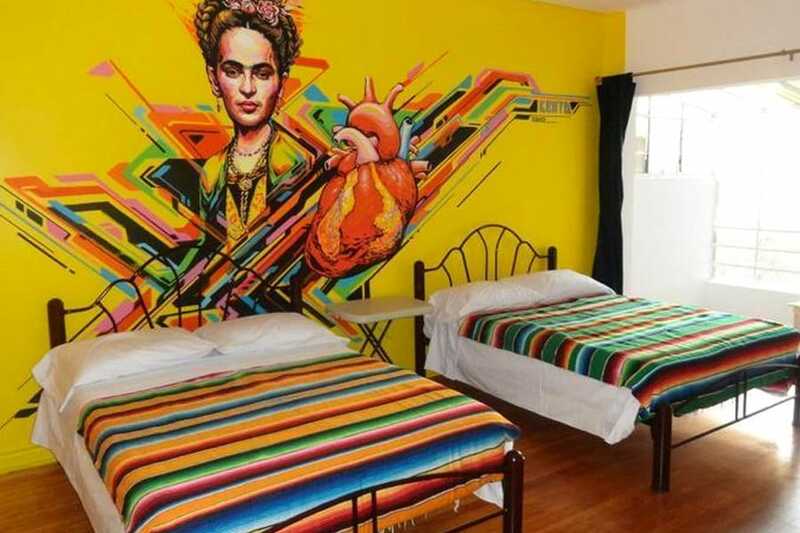 For a hostel experience that’s unique and satisfying, check in with Dos Frida y Diego Hostel. 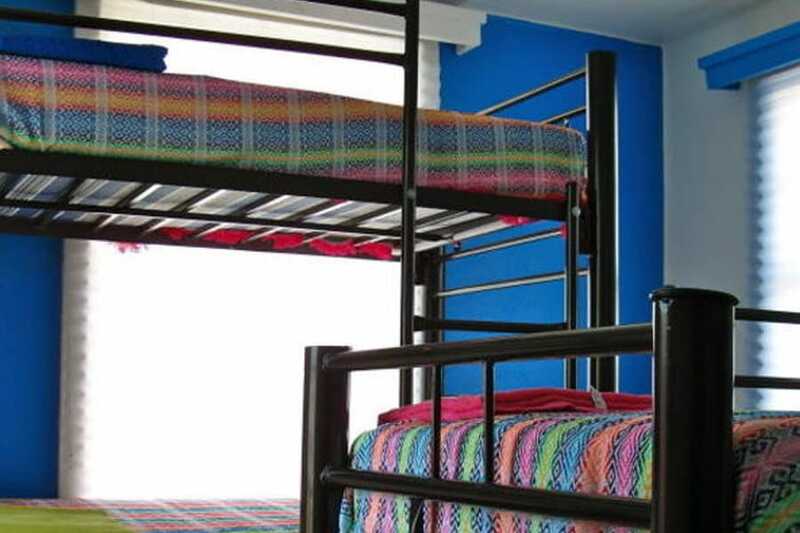 You’re officially ready to book your stay at one of the best hostels in Mexico City. We know planning a trip can be overwhelming, so we’re glad we can take one thing off your plate and help you find a great accommodation. Mexico City awaits!!! This list is based on our personal experiences and/or reviews online. If you own a hostel in Mexico City that you would like to add to this list, email us at contact(at)roadaffair(dot)com with the subject: Best Hostels in Mexico City.